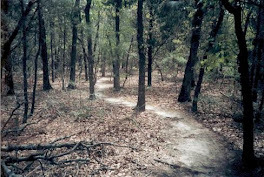 Runners and Travelers Blog: Hells Hills 50k: The Heat is on! 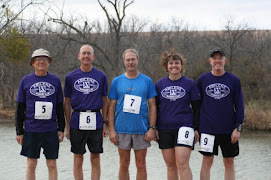 Hells Hills 50k: The Heat is on! Hell's Hills is a race I have been wanting to run since last year when David McCaghran and I went to Smithville to run it, but after 11 inches of rain in 3 short hours, and a lightning storm that canceled the race, we took our tent down, got soaked in the driving rain, and left. This year, I was determined to make the race after not being able to go to the makeup race in June. 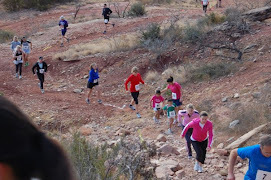 This race occurs just outside of Smithville, Texas, which is a short drive from Austin, Texas. 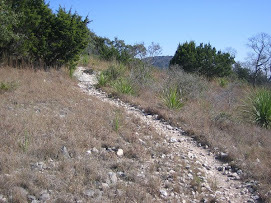 It is near Bueshe State Park, and located in the heart of the "Hill Country" of Texas. 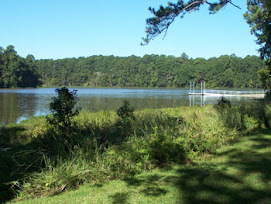 There are rolling hills, a Piney Woods, creeks, and tons of wildflowers in that part of Texas. It's a beautiful area to hold a trail race. 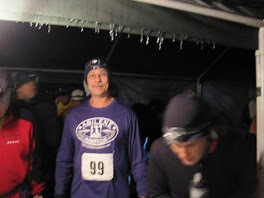 The race itself is held at Rocky Hill Ranch, and we started the 50k race at 6:00 and it was still dark. I ran for about an hour with my small handheld flashlight, which wasn't very powerful, but good enough to light up the trail in the early morning hours. 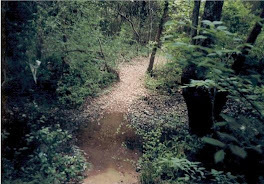 The trail consists of three, almost distinct, phases. 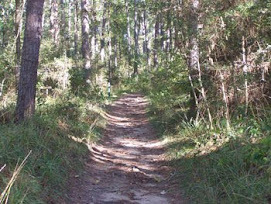 The first five miles are rolling hills that steadily climb toward the top of the hills nestled deep into the woods. There are a lot of steep uphills, and short ups and downs, with some roller coaster hills and a few creek crossings. There was water in most of the creeks, which required a giant leap, or a gentle crossing of the water. We ran most of this section in the dark, which was tricky in some places, with the roots, and the drop offs. The first aid station was at the 5 mile mark, and I had an orange slice, some water, and topped off my bottle that I was carrying in my waist pack. 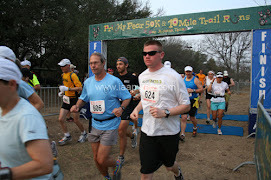 I drank mostly water on the first loop, which was a 15.5 mile loop that we would run twice for the 50k distance. The second section was absolutely phenonmenal. The woods were deep and thick, and you had to duck a few times away from low hanging branches and trees. 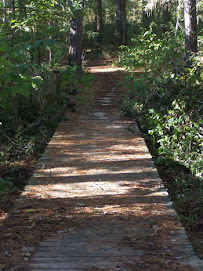 It was a narrow, winding single track most of the way, with a variety of terrain. 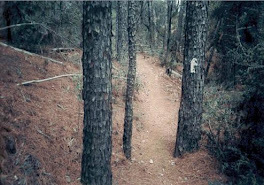 There were some rolling hills, and some very flat, runnable spots, as well, and the smell in the air, mixed with the smell of the Pines was extraordinary. I watched the sun coming up over the hills, and I felt so "alive." Running was easy during this section, and the trail was covered in Pine needles in some places, leaves in other places, and it was soft and sandy, as well. In a couple of sections, the trails and trees opened up, revealing rolling meadows, covered in Bluebonnets. It was amazing to see such beauty. There were some rocks, too, but they weren't too bad. You do still have to watch out for roots and stumps. The second aid station was at ten miles and some change, and I topped off my water bottle, drank some Gatorade, and ate a few Sport Beans. 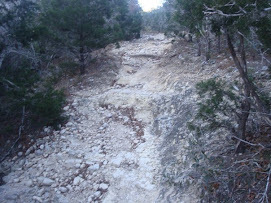 The third section was more difficult, with some long climbs, more rolling hills, and lots of rocks and roots. One section somewhere around the 13 or 14 mile marker, there was a section called "The Wall," and it was a steep cliff that was difficult to climb, and if it had been muddy, I deemed it would have been next to impossible to ascend. 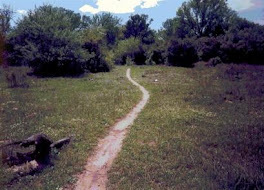 But, after several long and winding climbs, the trails empty into a field with a really narrow single track trail back to the starting line. That was the third aid station. I dumped what little water I had left, and filled my 20 oz. bottle with Gatorade, as the sun was getting rather hot, and the temperatures began to rise. It eventually reached about 85 degrees, and that sun was relentless by the time I reached the 20 mile marker. My shoes were full of rocks and debris (I didn't wear my Gaiters, or my hat, both of which I would soon regret) so I sat down and emptied the contents. At that point, I was beginning to think I would not make it...but I remembered from past experience that we have bad zones and good zones. I was definitely in a bad one. The folks at the aid station were great, though, and they helped me get cooled down and I ate some orange slices. Other runners came in in the same condition, all hot, tired, and depressed...but the aid station volunteers pepped everybody up, and we all took off again. 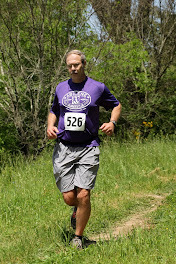 I was soon relieved to find myself in that second section of the course that I loved, and the trees afforded some nice shade from the relentless sun. I quickly found my pace again, and was soon moving strongly. 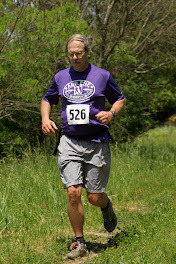 I definitely got my second wind, and hit the second aid station 30 minutes faster than the last five miles. 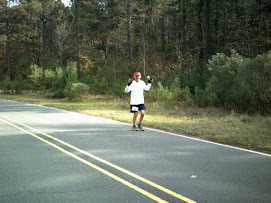 By then, I just wanted to see the finish line, so I kept running, and when I hit that "Wall climb" the second time, which I faced this time at about mile 28, it was not easy, and my calves started cramping. I kept taking electrolytes, and munching on those jelly beans, and despite the cramps, I sailed on in. I hit the 31.2 mile marker in around 7 hours, which wasn't too bad, considering the heat. 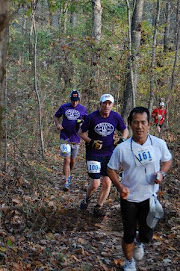 I have to say that this was one of the most enjoyable 50k's I have ever run. 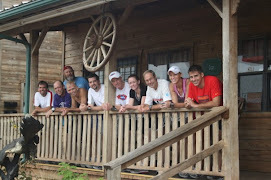 It offered almost everything you would want in a trail racing challenge. Hills, roots, rocks, sand, mud, water crossings, heat, and above all.....a challenge where a person can test themselves against the elements. We had two of the runners stay with us at our B&B. He finished 1st overall and she was 3rd in the Women's division. I love that land, it was part of my Grandfather's farm. And now owned by my first cousin. We love having runners here. Next time ck out the Katy House in Smithville. Thank you, I will. What a great place. I agree with you...it's wonderful there. My mother lives right around the corner...just past Winchester, off Hwy. 77. Thanks for the info. If you have a website or an e-mail address, feel free to leave it. Thanks again.